Be the first to share your favorite memory, photo or story of Verona. This memorial page is dedicated for family, friends and future generations to celebrate the life of their loved one. Verona "Noni" Nyseth, 86, formerly of Altoona, died Saturday, August 18, 2018 at Lake Hallie Memory Care. She succumbed to Alzheimer’s Disease and Parkinson’s after a twelve-year struggle. Verona was born on December 31, 1931 in Eau Claire, WI, the daughter of Vernon and Clara (Lee) Knecht. She was the eldest of their four children. Verona attended Eau Claire Public Schools but left high school before graduating to earn money for the family when her father could not work full-time due to his health. In 1949, Verona married Thomas Nyseth and the couple eventually had three children. Tom built homes by himself and worked at Pope and Talbot. Verona was a stay-at-home mother for many years, but later worked at National Presto Industries and in housekeeping at several area hotels. Tom died in 1975 and Verona never remarried. Verona's favorite pastimes were spending time with her children, watching her grandchildren, polka dancing, playing 500 and poker, holiday get togethers, making lefse, walking, and birdwatching. She was a member of Concordia Lutheran Church in Eau Claire for 42 years but stopped attending about five years ago as her attention span, processing, and memory deteriorated. Those who really knew Verona found her to be a warm, caring, and thoughtful person. As a mother she was one of a hundred—always loving and supporting her family. Verona is survived by her three children, Ted (special friend Shirley Erickson) Nyseth of Eau Claire, Tim (Linda) Nyseth of Tomah, and Cindy Nyseth of Eau Claire; granddaughters Julie, Jill, Hollie, and Katie; two great-grandchildren; sisters Eve Renick of Comstock and Betty (Bob) Lorenz of Oshkosh; sisters-in-law Sandy Nyseth of Altoona and Vicky Nyseth of Hudson; brother-in-law Roger Nyseth of Eau Claire; and numerous nieces and nephews. She was preceded in death by her parents, husband, one brother, one half-brother, and two half-sisters. 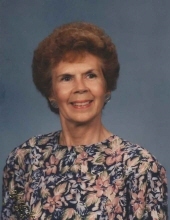 Graveside services for Verona will be held at 1:00 p.m. on Thursday, August 23 at Rest Haven Cemetery in Eau Claire. Pastor Aaron Hamilton of Concordia Lutheran Church will officiate the brief service. Stokes, Prock and Mundt Funeral Chapel is assisting the family with the burial. The family is very appreciative of Lake Hallie Memory Care and Heartland Hospice for their wonderful care of Verona during the last sixty days of her life. Your knowledge and professionalism in carrying out your duties was truly commendable. We thank you for always coming through for the family while working in a difficult environment. A special thank you to Pastor Aaron Hamilton of Concordia Lutheran Church for his many visits and inspirational messages of hope and salvation through Jesus Christ. People we love are never lost. They live forever in our hearts. May our Lord love and keep her safe. Blessed be her memory. "Email Address" would like to share the life celebration of Verona C Nyseth. Click on the "link" to go to share a favorite memory or leave a condolence message for the family.